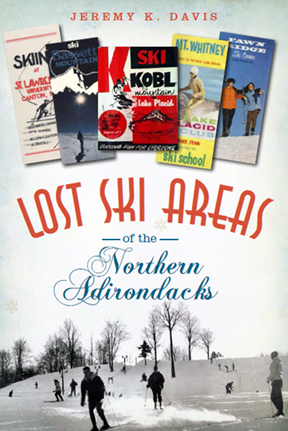 NELSAP is proud to offer the following books on sale, including the brand new Lost Ski Areas of the Northern Adirondacks! More about the brand new Lost Ski Areas of the Northern Adirondacks! Some of the northern Adirondacks' most beloved ski areas have sadly not survived the test of time despite the pristine powder found from the High Peaks to the St. Lawrence. Even after hosting the Winter Olympics twice, Lake Placid hides fourteen abandoned ski areas. In the Whiteface area, the once-prosperous resort Paleface, or Bassett Mountain, succumbed after a series of bad winters. Juniper Hills was "the biggest little hill in the North Country" and welcomed families in the Northern Tier for more than fifteen years. Big Tupper in Tupper Lake and Otis Mountain in Elizabethtown defied the odds and were lovingly restored in recent years. Jeremy Davis of the New England/Northeast Lost Ski Areas Project rediscovers these lost trails and shares beloved memories of the people who skied on them. The Adirondack region has long been a favorite of skiers, as its beautiful mountains and deep snow cover provide it with the perfect landscape. Downhill ski areas developed during the Great Depression, when New Yorkers looked for an affordable escape to beat the winter blues. Over the coming decades, ski areas expanded with new lifts, lodges and trails. Despite the popularity of the sport, many ski areas have disappeared, yet countless people still hold fond memories of them. 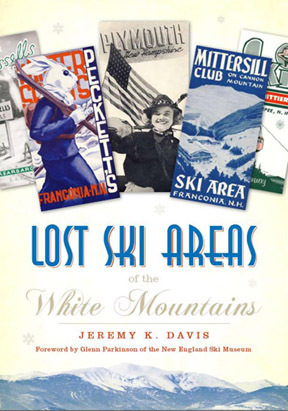 Ski historian Jeremy Davis chronicles the history of these vanished ski areas with photographs and memories from those who enjoyed them, while also paying homage to restored and classic skiing opportunities still available in the Adirondacks. "Hidden amongst the hills and mountains of southern Vermont are the remnants of sixty former ski areas, their slopes returning to forest and their lifts decaying. Today, only fourteen remain open and active in southern Vermont. Though they offer some incredible skiing, most lack the intimate, local feel of these lost ski trails. Jeremy Davis, creator of the New England Lost Ski Areas Project, looks into the over-investment local competition, weather variation, changing skier habits, insurance costs and just plain bad luck that caused these areas to succumb and melt back into the landscape. From the family operated Hogback in Windham County to Clinton Gilbert's farm in Woodstock, where the very first rope tow began operation in the winter of 1934, these once popular ski areas left an indelible trace on the hearts of their communities and the history of southern Vermont." 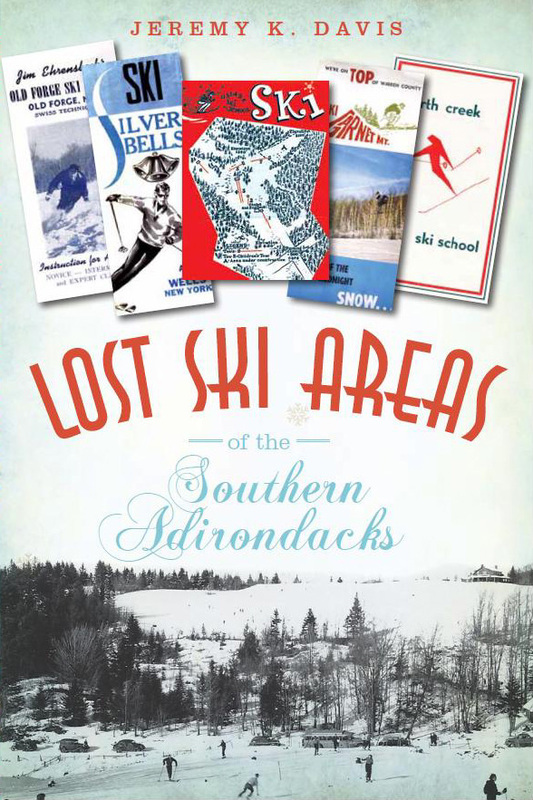 Each book features never before published photographs, maps, and memories of these former ski areas in the Northern Adirondacks, Southern Adirondacks, Southern Vermont and across the White Mountains. 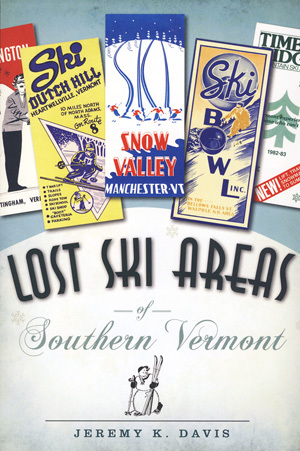 Each book also contains information on the remaining small, community-type ski areas that still operate in the region. To place an order for any or all books, please fill out this form, and email it to nelsap@yahoo.com. I will then reply with your invoice total. Let me know if you have any questions!